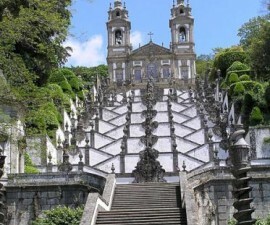 Portugal is a paradise for shoppers, offering a plethora of handicrafts, leather goods, lace, clothing and gourmet items in high quality and at very competitive prices. 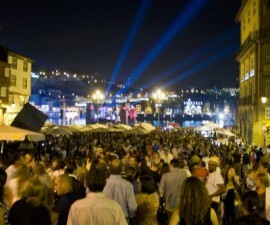 Add a major city such as Porto into the equation and shopaholics are literally spoilt for choice. Porto has earned itself a reputation for producing some of the best fashion, footwear and jewellery in the country, and with a string of boutiques and quirky outlet stalls to explore, here is plenty to keep you going for a day or more of serious bargain hunting. Downtown Porto offers some of the best shopping in the city, in the Santa Catarina area, where many of the city’s leading retailers can be found clustered together in a series of attractive boutiques. 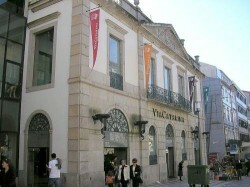 Boavista is the place to head for upmarket brands and labels, particularly around Avenida da Boavista and the Avis area. Here you will enjoy people-watching as much as bargain hunting, so leave yourself plenty of time to relax at a pavement café, admire your purchases and watch the world go by. Look out for the store of Portuguese designer Nuno Baltazar here, whose ready-to-wear collections are renowned across the country. Another name to look out for in the Boavista area is Por Vocacao, a leading men’s concept store which offers many big-name international labels as well as perfumes, accessories, limited-edition trainers, and magazines. Wrong Weather is also worth a look, offering names such as Comme des Garcons and Yohji Yamamoto, as well as its own menswear line. For more mainstream high street brands, stick to Santa Catarina or head to one of the many malls which have sprung up in Porto ― and indeed all over Portugal ― in recent years. The Via Catarina mall itself is well worth exploring, with its range of fashion labels, jewellery stores, accessories, shoe shops and electronic goods outlets. It also has the benefit of housing a huge hypermarket where shoppers can load up on their weekly supplies all under one roof. 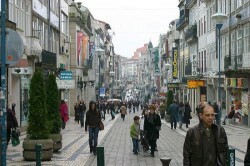 Slightly further from the centre is NorteShopping, in Matosinhos, which offers a wide range of names at affordable prices. 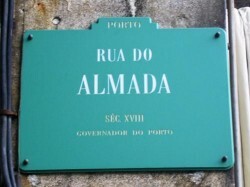 Rua do Almada is the place to be, if urban culture and contemporary music are your scene. Maria Vai Com As Outras is a popular destination for art lovers and film buffs, selling music, books, magazines and artworks, as well as playing host to a range of cultural events on a regular basis. More than simply a shop, it is a networking destination where Porto’s youngsters meet, chat, eat, drink, relax and even party from morning to night. Other leading stores on the Rua do Almada include Lost Underground for music and music-related products, Louie Louie for those hard-to-find vinyl tracks, and Zona 6 for DJ equipment, musical instructions and all the facilities you need to record your very own music. On a different note, the Casa Almada is also worth a look for its vintage furnishings and decorative pieces to add a splash of something different to your home décor styling. 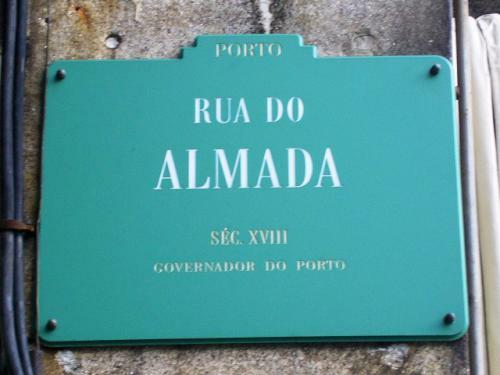 Don’t leave Rua do Almada without looking in at Arcadia, the leading chocolatier that supplies retailers all over Portugal. All handmade using natural products, these sweet treats are a taste of heaven and make a great snack or gift to take back for your loved ones. 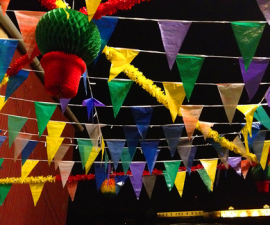 If you are in search of art and high-class design, head for Rua Miguel Bombarda. Aguas Furtadas is a mine of interesting Portuguese design, from minimalist Barcelos cockerels to colourful ceramics, all of which are a far cry from the examples you would find in the usual tourist hot spots. Mundano Objectos is also worth a look for its range of design offerings, both from Portuguese and international designers. 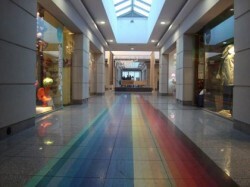 For a shopping mall with something different, pop into the Centro Comercial Bombarda. This is a compact mall with relatively few stores, all of which are carefully selected for their dedication to design and fashion. This is the place to sniff out original Portuguese design, organic cosmetics, contemporary jewellery and original decorative objects. No Porto shopping trip would be complete without indulging in the gastronomic pleasures of this delightful city. Stop frequently for coffee, Port wine and sweet treats, and be sure to load up at one of the city’s excellent delicatessens. A Perola do Bolhao is an art-nouveau delicatessen offering delicious cold meats, cheeses, olives and dried fruit and nuts, or head to the Mercado do Bolhao, where a bevy of street vendors compete to sell their delicious home-made fare.